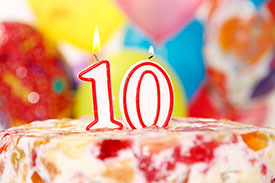 Did you know that UltraSPECT is celebrating the 10th anniversary of the FDA approval of the Wide Beam Reconstruction (WBR™) Technology? It is the WBR algorithm that makes the lower dose and shorter time imaging for nuclear medicine exams possible. Help us celebrate by taking part in the sweepstakes for a chance to win one of 10 $50-gift cards to your favorite stores – two each from Amazon, iTunes, Starbucks, Dunkin' Donuts and Barnes & Noble! Deadline to enter is Tuesday, June 7, 2016. No purchase necessary. Open to legal residents of the US or DC, who are 21+ working in the health care industry at the time of entry. Sweeps begins 12:01 AM ET 5/24/16; ends 11:59 PM ET 6/7/16. Limit one entry per person. Subject to full Official Rules. VOID where prohibited. Since 2001, Absolute Imaging Solutions (AIS) has been part of the nuclear medicine (NM) community, helping professionals do their daily jobs without the frustration common in purchasing and maintenance of nuclear imaging equipment. ISO-13485 certified, AIS provides OEM Reconditioned Philips-ADAC-Siemens-GE cameras and is the exclusive U.S. distributor of the small-footprint Mediso AnyScan® S, Single-Head or Dual-Head, large field-of-view general purpose SPECT camera with half-time and half-dose capability. The team of OEM-trained Field Service Engineers, averaging 15 years of experience, is on hand to assist customers with maintenance issues. Serving major health systems, independent hospitals, the VA Health system, and private physician practices, AIS is a respected leader known for its always available and reliable support and service required to maintain molecular imaging systems. AIS packages UltraSPECT software technology that enables safer and faster imaging with the AnyScan® S to meet the demands of the market while providing value to the customers. 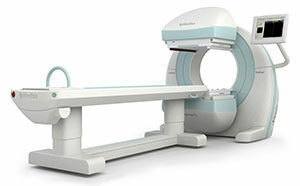 As the market demand for dose reduction and quality patient care grew, AIS and UltraSPECT partnered in 2009 to deliver greater value together to imaging facilities throughout the country. UltraSPECT’s Wide-Beam Reconstruction image processing algorithm addresses the clinical need for significant reduction in injection dose and shortened scan times, boosting patient safety, throughput and comfort. AIS packages UltraSPECT’s Xpress.Cardiac, Xpress3.Cardiac, and Xpress/Xact.Bone software technology with such imaging systems as OEM Reconditioned Philips-ADAC-Siemens-GE cameras and the AnyScan® S to meet the demands of the market while providing value to the customers. Holmes credits AIS success to its continued investments in people, training and technology and expansion into the OEM space with AnyScan® S, with close to 14 units installed in major health systems and cardiology practices across the U.S. The company has been growing steadily through increases in new business and enjoys a 98% service contract renewal rate. 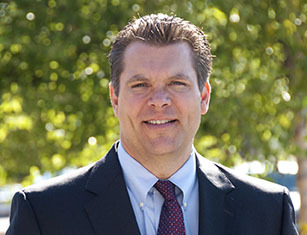 Holmes has been responsible for sales and business development at AIS for nearly four years. 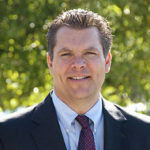 The biggest enjoyment he finds in his work is helping other people succeed – from the technologist who needs his system back online to the administrator and management team in need of someone they can trust – as well as enduring relationships he has built over the years in the industry. Make your visit to the 2016 Society of Nuclear Medicine & Molecular Imaging (SNMMI) meeting fun and healthy while supporting a great cause: the SNMMI Technologist Quality Initiative! Run, take a walk or just get out in the sunshine in the beautiful Embarcadero Marina Park in San Diego with your peers as part of the 2nd annual “Hot Trot 5K”run/walk organized by the SNMMI. UltraSPECT is a gold sponsor of the event. 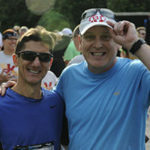 Left to right: Yossi Srour, President of UltraSPECT, and Dan Basso, Director of Cardiovascular Imaging at University Health Care System, Augusta, Ga., at the “5K Hot Trot” run and walk in 2015. Photo courtesy of SNMMI. Proceeds will benefit the advancement of molecular and nuclear medicine technologists through professional development that promotes clinical excellence and optimal patient outcomes via the SNMMI-TS Professional Development and Education Fund. A portion of the proceeds will support Mama's Kitchen. Hundreds of participants enjoyed last year’s inaugural event as they ran on a beautiful trail out just outside of Baltimore. The winner time was 18:52 minutes, which indicates a good level of the runners. Can we beat the winner time this year? The event is scheduled for Saturday, June 11, at 7:30 a.m. Come out, have fun, and support your field! 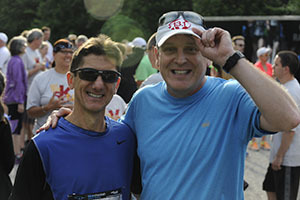 Online registration is open until June 3 or until the race sells out (whichever comes first). 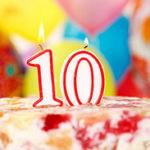 After that date you can register in person on June 10 or 11. To sign up, go to the registration page or visit the Hot Trot 5K Facebook page.